Spotted on E! 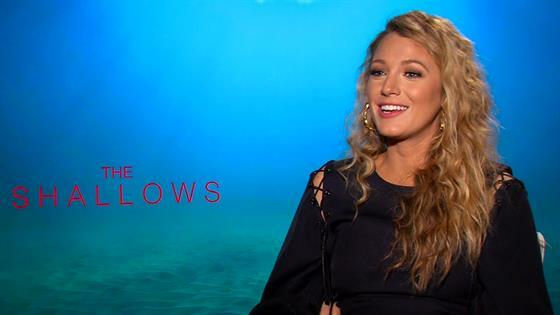 News: Golden girl Blake Lively weighing in on the possibility of a Gossip Girl reunion. While Lively said goodbye to the role of Serena van der Woodsen back in 2012, fans still obsess every OMFG moment that went down on the CW hit series, as well as every droolworthy item of clothing Serena wore, helping to establish Lively as a modern fashion icon. And with nostalgia-fever at an all-time high, E! News' Marc Malkin asked Lively if she'd ever be interested in doing a reunion with her former Upper East Siders. 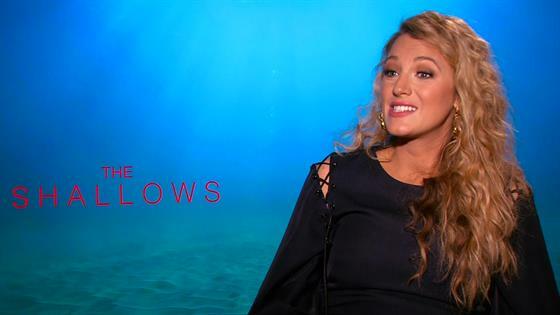 "I don't know, it would be fun," Lively said while promoting her new action film, The Shallows. "We had such a great time doing that that I think we all would really enjoy that." To hear more from Lively about Gossip Girl, including what she thinks Serena is currently up to, press play on our exclusive interview with her above. XOXO. We also spoke with executive producer Josh Schwartz about the possibly of a Gossip Girl reboot, he admitted, "We haven't really explored some of those conversations. Maybe, I don't know. We haven't really thought about it." Make sure to tune in to E! News all week, at 7 and 11 p.m. every day, for scoop on some of your favorite series, including Gilmore Girls and Fuller House, as We Heart TV Week continues.